24th Annual East Coast Classic - SOLD OUT! Foursomes and sponsorships are now sold out, thank you for helping us sell out this event for 4 consecutive years! If you are interested in being added to a wait list, please contact Maggie Dombroski at mdombroski@expectmiraclesfoundation.org or 617.391.9207. If you are still looking for additional ways to get involved in this year's tournament you can participate in the Opportunity Drawing (chance to win a stay in Aruba), Helicopter Ball Drop (chance to win 70,000 AA Miles), and Live Auction (Red Sox vs. Yankees, Patriots Tickets, Concerts and more)! Expect Miracles Foundation - Financial Services Against Cancer is proud to present the 24th Annual Expect Miracles East Coast Classic. We invite you to join us in celebrating the Foundation's longest standing event. Continuing its tradition as the industry's golf event of the year on the East Coast, the East Coast Classic will be held on Thursday, June 14, 2018 at Pinehills Golf Club in Plymouth, MA. 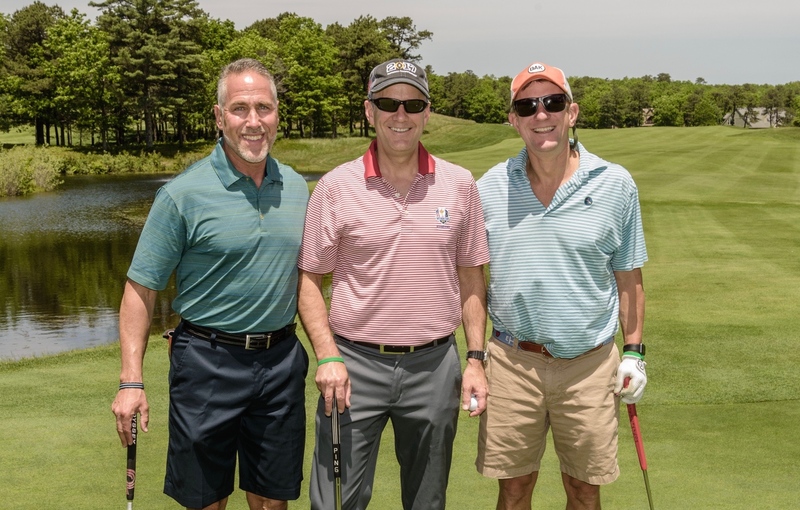 Join nearly 300 senior financial industry executives for an unforgettable charity golf outing, bringing the financial community together to raise funds for the fight against cancer. Sponsorship signage at one of the following: registration, breakfast, driving range, lunch, live auction, etc. Full page black and white ads 8.5”W x 11”H with a live area of 8"W x 10.5"H. High Resolution print ready PDF files are preferred. PDF, TIF, PNG, or JPG files will be accepted. All fonts must be embedded or outlined and images should be at least 300 dpi, grayscale only. Maggie (Nokes) Dombroski at 617.391.9207 or mdombroski@expectmiraclesfoundation.org. Can't golf but still want to be involved in the 24th Annual East Coast Classic? We invite you to join us in celebrating at the Post Golf Reception. Guests will have the opportunity to network, bid on live and silent auctions, enjoy beverages and heavy hors d'oeuvres, and most importantly support the fight against cancer! VOLUNTEER POSITIONS ARE FULL. To be added to the waitlist please contact Becca Lunt at rlunt@expectmiraclesfoundation.org or 617.391.9247.